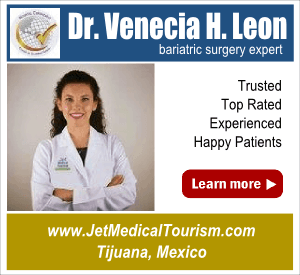 Are you planning to have bariatric surgery in Tijuana, Mexico? If so, you deserve to be congratulated for taking the most important step towards reclaiming your health. Bariatric surgery can not only reduce your weight to a great extent, but also help you recover from diabetes, lower the risk of cardiovascular diseases, and reduce the overall risk of mortality. Every year, Tijuana draws a large number of visitors from the US and Canada, many of whom happen to be medical tourists who are in need of low-cost weight loss surgery and other healthcare procedures. Located just 15 miles away from San Diego, Tijuana remains the most popular choice of medical tourists from the US, particularly those who live in Southern California. The city boasts of several state-of-the-art bariatric hospitals and clinics which cater to the needs of patients from the US and Canada. The cost of procedures such as gastric bypass surgery and sleeve gastrectomy in Tijuana is a fraction of what it is in the US, which makes the city a perfect choice for those who are on a small budget. Bariatric surgery (commonly referred to as weight loss surgery) is one of the most commonly performed medical procedures in Tijuana. Many American and Canadian patients who have been to the city and have undergone the procedure say that the quality of care is splendid, owing to the strict quality control guidelines enforced by the Mexican government agencies in the city. 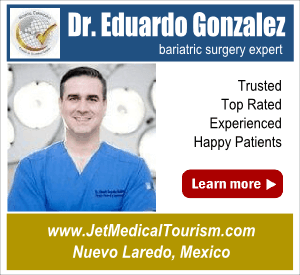 While you are having weight loss surgery in Tijuana, you should always remember that medical tourism is tourism too! In addition to being the number one destination for weight loss surgery, Tijuana also happens to be a hotspot for international tourists. Located close to the Pacific Ocean, the city enjoys pleasant weather throughout the year. It is often described as the city of ‘tacos, tequila, and fun’. This is perhaps the most popular tourist spot in the entire city. The place has a lot in store for tourists – from artisan crafts shops to book stores, restaurants, cafés, art galleries, bars, discotheques, and micro breweries. The place is lively, colorful, and full of energy. It is the best place for a traveler to get a glimpse of authentic Mexican culture. One of the factors that drive tourism in Tijuana is the vibrant cultural scene in the region. The Tijuana Cultural Center, which has become the symbol of the city in a short span of time, attracts lots of visitors throughout the year and is a must-visit place for anyone who is looking to get a glimpse of the local culture. The center houses a number of attractions including a botanic garden, aquarium, café, museum, and an IMAX cinema. The museum, in particular, is a place you must visit if you are interested in learning the history of California. There is a helical ramp which takes you on a fascinating journey – starting from prehistoric times to the 21st century, detailing every notable incident that shaped the history of California. You can find dioramas, rock paintings, folk art, artifacts, and models of settlements from pre-Hispanic times, all of which paint a vivid picture of California’s transformation over the centuries. Zona Rio is technically a business district, but still has a lot to offer for casual tourists. The Plaza Rio shopping mall is one such place, which is known to be bustling with tourists all the time. If you are a foodie, you must visit the Food Garden in the mall, which offers an extraordinarily wide range of dishes under a single roof. If you want to get a taste of the local drinking scene, you should visit the Plaza Fiesta. The place has 10 tasting rooms and serves more than 100 different varieties of beers, all of which are locally brewed. Right next to the Plaza Fiesta is the Mercado Hidalgo, which is essentially a farmer’s market. Apart from fresh fruits and vegetables, it also offers a huge collection of spices from all over Mexico. There is a coffee shop located right in the middle of the market, which serves freshly brewed coffee made entirely from Mexican coffee beans. If you are into betting, you can visit the Caliente Casino, which hosts greyhound races on a daily basis. The place has a colorful history and used to be frequented by the likes of Frank Sinatra and Al Capone. The Caliente Stadium is the place-to-be if you love soccer. It is a 30,000-seater, which gets packed to the brim whenever the local population’s favorite teams take on each other. You can grab yourself a pitcher of beer for less than $2 and enjoy a game with rabid soccer fans cheering their favorite teams. The north and south coasts of Ensenada are dotted with beautiful beaches, many of which are frequented by surfers. You can find a number of private beaches as well, which you can access by paying a small fee. Every year, Ensenada hosts the Grape Harvest Fiesta in the month of August. Bus tours are arranged for people who want to visit the wineries in the region. You can also sample some of the finest wines produced in the region at the tasting stalls. You can also visit the Rosarito Beach, where the movie Titanic was filmed. 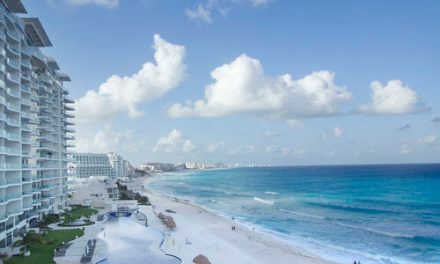 The endless strips of white sand and tranquil waters are a sight for sore eyes. A visit to the beach can be a great way to relax before having weight loss surgery in Tijuana. Located close to Rosarito Beach is Puerto Nuevo, which is a coastal settlement known for its lobster. The mouthwatering tasty lobster taco with fried beans is a favorite of locals as well as tourists. You can pair it with a glass of wine from local wineries for the ultimate coastal dining experience. The zebra-striped donkey is so popular that it has almost become a ritual for tourists to take a picture with the curious-looking animal. So, click a picture with the zebra-donkey to preserve the memories of your delightful trip to Tijuana. At Revolucion Avenue, you can buy several items that cannot be found in a typical shopping mall. From the beautiful Talavera pottery of Puebla to the exquisite wood carvings of Oaxaca, you can find a wide range of locally made products that could be a great addition to your display. The wax museum in Tijuana houses the replicas of famous personalities from different industries – from John Lennon to Mahatma Gandhi. You can also visit the house of horror to bring out your inner child. What is the point of visiting Tijuana if you do not try the local cuisine? Even if you are not a foodie, the sight of freshly prepared ingredients and the sweet smell of Mexican spices is sure to tickle your taste buds. You can visit Calle Madero in downtown Tijuana for some authentic Mexican tacos. The Telefonica Gastro Park, which is located close to Avenida Revolucion, offers a wide range of tacos and burgers along with freshly brewed coffee and beer. They even sell vegan tacos, which are surprisingly tasty! You can visit Bol Corona for some delicious burritos. And you must visit Caesar’s, which is the birthplace of one of the most well-known dishes in the world – the Caesar’s salad. If you feel like splurging, Cien Anos in Zona Rio is the place to visit. The menu features authentic Mexican dishes, some of which supposedly date back to Aztec times. Colectivo 9 in downtown Tijuana is yet another place which is frequented by foodies. The place has a number of eateries that serve delicious international cuisines. If you are looking to blow off some steam before going under the knife, there are plenty of options available for you in Tijuana – from trendy cafés to bars, night clubs, and discotheques. You can find everything you need for a great night out – delicious food, good music, locally brewed beer, and an endless range of margaritas and tequilas. The USA – Mexico border is an attraction in itself. Apart from the physical barriers that separate the two countries, you can also find a number of virtual barriers consisting of motion sensors and cameras, all of which are monitored and guarded by border patrol agents. You can take pictures, go for a leisurely stroll along the border, and enjoy some delicious seafood cocktail. If you are religious or spiritual in nature, you can visit the Cathedral of Our Lady of Guadalupe, which is located right in the heart of the city. You can pray to the Almighty, calm your nerves down, feel at peace with yourself, and mentally prepare yourself for the surgery. The United States has one of the highest obesity rates in the world, particularly compared to other developed countries. Approximately 33% of the country’s population is obese, which is alarming to say the least. In many cases, obese or excessively overweight patients are not able to reduce their weight through conventional methods like dieting and exercise. As a result, bariatric surgery is the only option available for them. Unfortunately, not many people in the US can afford to have bariatric surgery, owing to the costs associated with the procedure. 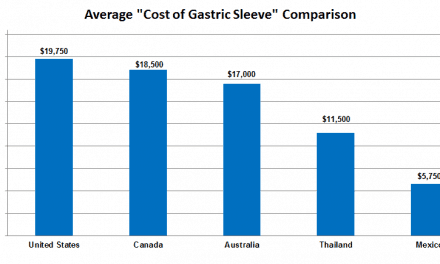 The average cost of a gastric bypass surgery in the US can be as high as $25,000, which is beyond the means of many people, particularly those who belong to low and middle income households. 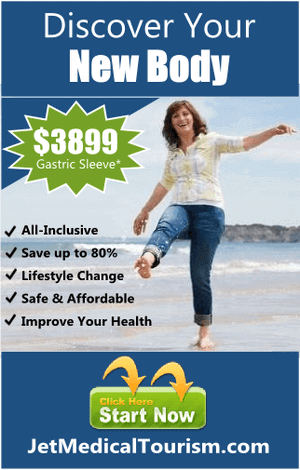 For these people, low cost bariatric surgery in Tijuana, Mexico offers a chance to restore your health in a safe and affordable manner. 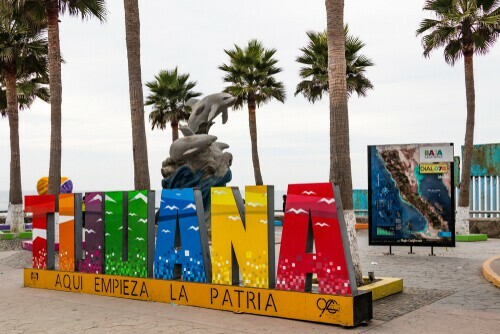 Tijuana has emerged as one of the most sought-after destinations for weight loss tourists from the US and Canada. 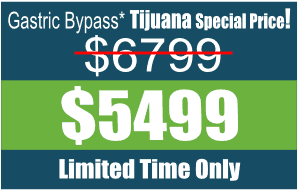 As a bariatric surgery tourism destination, the unique selling point of Tijuana is the availability of quality health care at extremely affordable rates. For instance, the average cost of a bariatric surgery in the city is $5,000, which includes travel and accommodation charges. On the other hand, the same surgery can easily cost you up to $30,000 in the US. 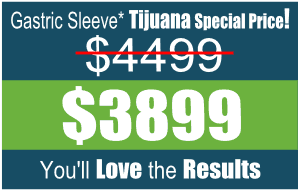 The staggering difference in cost is the single biggest reason why the number of medical tourists from the US to Tijuana keeps increasing by the year. 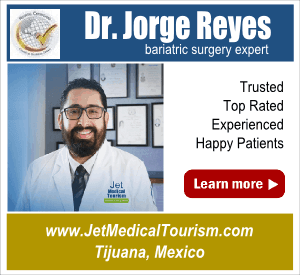 One of the reasons why many people choose to have bariatric surgery in Tijuana, Mexico is that the quality of treatment and care provided is on par with what you can expect to receive in a US hospital. The weight loss surgeons in Tijuana are well-trained and highly experienced, the staff members are exceedingly polite and helpful, and the hospitals are amply supplied, immaculately clean, and well maintained. One of the best ways to make sure you receive the highest quality of care in Tijuana is to choose the right hospital in the first place. A JCI or CSG accredited hospital is the perfect choice for anyone who is looking to have weight loss surgery in Tijuana. JCI accreditation is given by the Joint Commission International, which is affiliated to the Joint Commission, a US based organization responsible for accrediting hospitals. CSG accreditation, on the other hand, is given by Mexico’s Ministry of Health. Apart from this, the JCI accreditation process also includes an onsite inspection and review of the hospital to be certified. So, if you choose a JCI accredited hospital in Mexico, you can be pretty sure that the standard of care provided will be no different than what you are used to receiving in US hospitals. Currently, many hospitals in Mexico – including several in Tijuana – have a JCI accreditation. The CSG accreditation given by the Mexican government is modeled after the JCI accreditation program and has very strict quality control standards as well. The Mexican government established the CSG accreditation program in an effort to raise the standards of the country’s hospitals and make sure they are on par with US hospitals – in terms of medical management and the quality of care offered. Medical tourism from the US has an enormously positive impact on Mexican economy. So, the government is keen on providing excellent health care services at an affordable cost for medical tourists from the US and Canada. While it is advisable to choose a JCI or CSG accredited hospital, it does not mean that non-accredited hospitals cannot be trusted at all. There are several hospitals in Tijuana which do not have a JCI or CSG accreditation, but are still excellent in their own way. Many of them have a proven track record of treating obesity and other related conditions successfully. 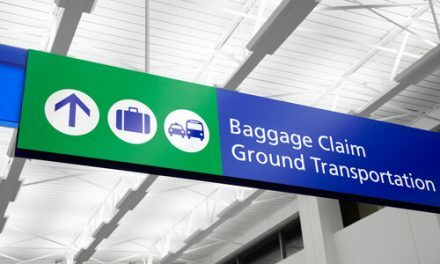 If you happen to choose a non-accredited hospital for your weight loss surgery, you should do a background check on the hospital and confirm if it is as good as it is claimed to be. First of all, you should talk to the doctors who work at the hospital. If possible, you should also talk to the patients who successfully underwent weight loss surgery at the hospital. In addition to this, you should do some research on the Internet to find out more about the hospital and its track record. If you are not satisfied with a hospital’s ambience, facilities, quality of care, and track record, you should reject it immediately. A bariatric surgery is a medical procedure which needs to be performed under the right conditions by highly skilled surgeons. So, you should make sure you choose the right hospital in Tijuana in order to achieve safe, predictable, and sustainable weight loss results. When it comes to weight loss tourism in Tijuana, choosing a proven and reliable facilitator is just as important as choosing an accredited hospital. The facilitator serves as your guide and trusted partner throughout your journey towards better health. So, make sure you choose someone who has earned a reputation as a motivated and highly competent professional in the industry. While choosing a facilitator, you should talk to some of the clients they have served before and ask them if they were satisfied with the services. You should also insist on talking to the surgeon who will be performing the surgery beforehand so that you can get a clear idea of the procedure and the risks involved. 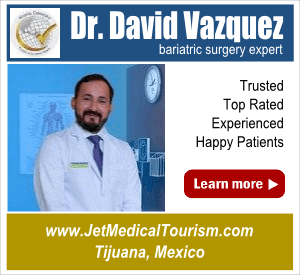 Choosing to have bariatric surgery in Tijuana, Mexico is a major decision which can have a profoundly positive impact on your health and quality of life. It is a long-term solution to your obesity problem which can help you regain your health and provide a boost to your self-esteem, personal relationships, and professional life.